Stock product - detailed vector illustration - Isometric Building Collection - Game Set 01 - created by Aurielaki. Image formats EPS AI JPG. SKU: Game-Set-01-Building-Isometric-AurielAki. Category: Isometric Building Icon. 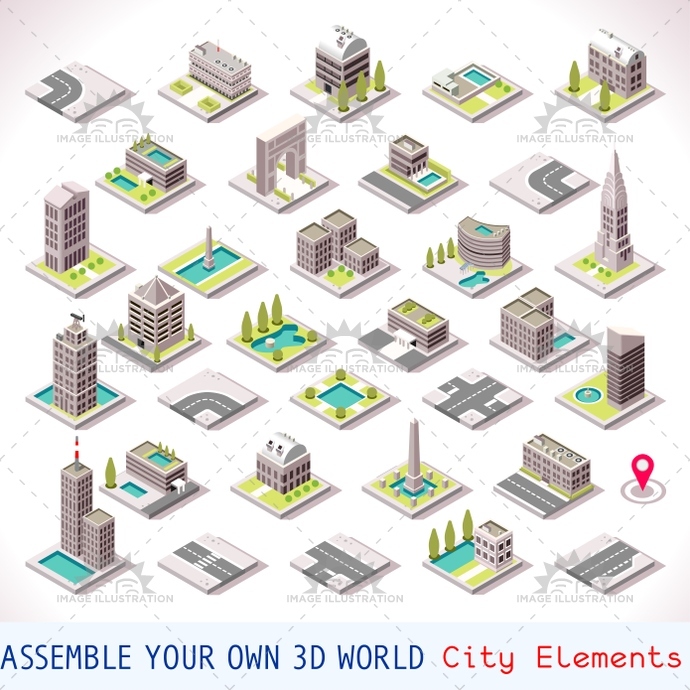 Tags: 3d, app, blocks, building, business, cartoon, city, collection, commercial, construction, estate, facade, fountain, front, game, house, houses, illustration, infographic, isolated, isometric, lake, landmark, map, mega, megalopolis, mockup, Monument, office, park, plan, private, real, roads, set, shop, sign, skyscraper, street, stylish, template, terraced, tiles, town, urban, urbanization, vector, web, white.